Books, Books, & More Books! Remember all those books I had on my Christmas wish list? Turns out, only one of them was under the tree. From my dad’s point of view, it makes sense, since I buy myself so many books throughout the year. I got a lot of other nice things, like three Harry Potter Funko pops, new jackets, and Amazon gift cards. But the best part about Christmas? Having a birthday in January. There are still a lot of books featured in this haul. Some I bought or received before Christmas, the rest I got with my Amazon gift cards or bought while shopping at Target recently as an early birthday present to myself. And, like always, this will be a long one. On the last day of my recent library temp job, the departments had their annual Christmas cookie crawl. In addition to cookies, the Reading Advisory department was also handing out wrapped advanced reader copies of books the library received from publishers trying to sell their books. I picked the one that read “adult fantasy, nature spirits, and a competition to be queen” written on the label. To my surprise, it was The Deepest Blue, which is by an author, Sarah Beth Durst, and part of a series I have been interested in for a while. Bone Gap is a book I have wanted to read for years, but I always forgot about. It is a magical realism contemporary novel that is a retelling of the Hades and Persephone myth set in a strange small town. Code Name Verity is one of my all-time favorite novels. The Pearl Thief is the prequel to that novel. It follows Julie before she was Verity as she investigates a murder and theft her new friends are suspected to be involved in. If I am being honest, the cover was part of the lure for this book. The Spring Girls is a modern-day retelling of Little Women, following the daughters of a high-ranking solider growing up on an army base. It seems like fun, maybe a little trashy, the kind of book I might save for a reading slump. Another slight impulse buy, The Rattled Bones is a young adult horror novel following a girl haunted by the visions of a ghost. When she becomes involved in an archeological dig, she uncovers a dark history about her waterfront community and a tragedy that has been kept silent for many, many years. Family drama, evil mother, daughter trying to claim her birthright from said evil mother, witches, and a dark, secluded island protected by magic. Salt & Storm checks off a lot of my boxes. Mechanica is a retelling of Cinderella set after she gets her happily ever after. Mechanica is an inventor living with her wicked stepmother and stepsisters until she sneaks out one night to attend the ball. She meets the prince and falls in love. Then, she wonders if it is really what she wanted after all. Venturess is the sequel to Mechanica. The one book on my Christmas 2018 wish list that I found under the tree, The Lost Queen is set in sixth-century Scotland and tells the story of a queen lost from history, whose twin brother inspired the legend of Merlin. I am glad I have it; the synopsis is fascinating to me and the cover is stunning facing forward on my bookshelves. A banned book I have been dying to read for years now, Persepolis is Marjane Satrapi’s graphic novel memoir. The daughter of Marxists and the great-granddaughter of the country’s last emperor, both volumes cover her life, beginning with her childhood during the Islamic Revolution and leading up to her early adulthood as a university student as the chauvinist government rises to power. Beowulf and The Odyssey, two epics I wanted to reread on my own, outside of school. Reading them in graphic novel format made them less daunting. Poe: stories and poems is probably my favorite graphic novel I bought ever. I had to stop myself from reading it so soon and focus on my library books first. Romeo and Juliet, I bought this one because I almost borrowed it from my college advisor but felt bad about taking it. I also figured this one would be a good Shakespeare play to read in a different medium. One of the cutest books I own now, The Witch Boy is a middle grade graphic novel. Aster comes from a magical family where boys are shapeshifters and girls are witches. Only he can’t get a hang of shapeshifting nor can he help looking in on the witch lessons the girls get. When one of the boys in his group goes missing, Aster risks breaking the rules to use the magic he’s learned to help. The Prince and the Dressmaker is another graphic novel breaking the gender rules. Prince Sebastian of Paris is looking for a wife, or at least his parents are looking for one for him. While trying to deal with his duties as prince, he has a big secret. By night, he puts on dresses and becomes Lady Crystallia, the glamourous fashion icon. The only other person who knows is his best friend and dressmaker, Frances. But with her own dreams on the line, how much longer can she protect her best friend? Spell on Wheels is one of those books that suddenly popped up on YouTube with everyone talking about it before vanishing again. I wanted to get into graphic novels more and this one appealed to me. It’s about three witches and best friends who go on a road trip of revenge to find the person that stole their spellbook. Plus, it looks like only one volume is out, so I don’t have to get caught up in a series. Except from what I’ve heard, I could be disappointed by that like other people. Besides graphic novels, memoirs and nonfiction are other kinds of work I want to get into. Like Persepolis, Hey, Kiddo is a graphic novel memoir about the author growing up with a drug addict mother. He is raised by his grandparents until he finds information about his mysterious father. The third and final book in The Dark Artifices trilogy. This will be the year I will read Lord of Shadows back to back with Queen of Air and Darkness. It will happen. Can’t wait. One of the books I originally had on my Christmas wish list, The Clockmaker’s Daughter is a historical fiction novel set in dual time periods. In modern-day London, archivist Elodie Winslow finds a woman’s photograph and a sketch inside an old satchel believe to be connected to the events that happened at Birchwood Manor. No one knows what really happened the summer of 1862 besides one woman was murdered, another disappeared, and a man’s life was ruined. Puddin’ is the companion novel to Dumplin’, which I have not yet read. I haven’t watched the Netflix movie either. I have the book and I will read it before I watch the movie. I just want to read these books for the body positivity and plus-size main characters. Haruko and Margot meet at the high school in Crystal City, a family internment camp in 1944 America for people accused of assisting the enemy. Despite being different in many ways, the girls bond over their shared situation as their families fall apart. But in an atmosphere of fear, their friendship is tested as they struggle to trust anyone, even each other. Little White Lies is a young adult contemporary mystery novel set in the American South. Eighteen-year-old Sawyer Taft accepts a six-figure contract from her estranged grandmother to participate in this year’s debutante season. Besides needing the money, she sees it as an opportunity to find out who her father is. But Sawyer gets more than what she bargained for when she makes friends with the other debutantes and discovers her family is not the only one with skeletons in the closet. The Tattooist of Auschwitz is the real life story of Holocaust survivor, Lale Sokolov. A Slovakian Jew that can speak multiple languages, his captors make him the tattooist of Auschwitz, permanently marking his fellow prisoners. For two and a half years, he will bear witness to the monstrosity of human nature as well as bravery and compassion, eventually using his privileged position to sneak in food to keep the prisoners alive. I already know my heart can’t take it. What was your favorite gift you received for Christmas? 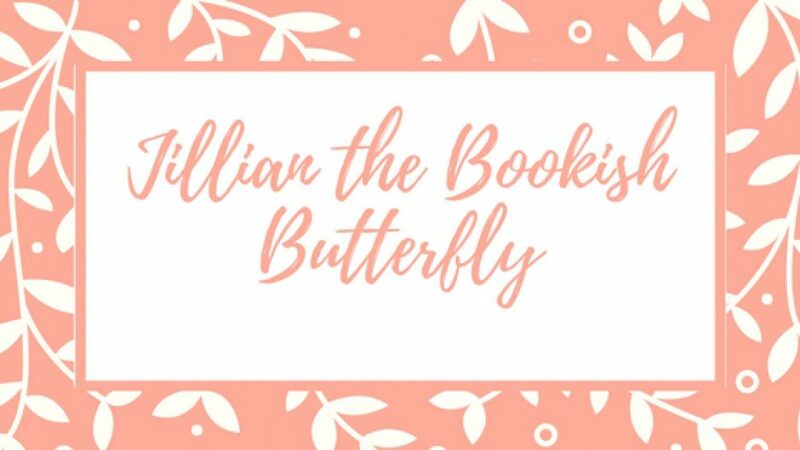 Top 5 Tuesday: Books I Predict Will Be 5 Stars!